The sixth and final season of House of Cards is on the way, and after releasing several previews of the upcoming season earlier in the year, Netflix has now debuted a second, full-length trailer that hints at the events in store for Robin Wright’s character, U.S. President Claire Underwood, and what she has planned for the nation. Spoilers ahead! The pieces are all in place for the award-winning series to conclude its run, and Netflix has set November 2 as the premiere date for season 6 of House of Cards. 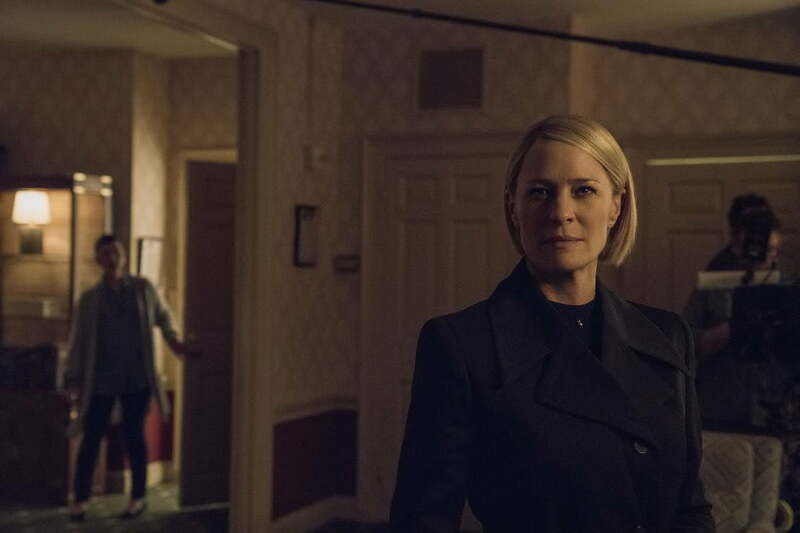 The latest trailer for the new season (see above) showcases the dark elements at play in both Claire Underwood’s rise to power and the forces challenging her for control of the nation and her legacy as the country’s first female president. The trailer follows on the heels of the first full-length trailer for the season, which debuted a week earlier. Along with previewing a “tough” first 100 days for the new U.S. President, the first full-length trailer (see below) offered a peek at some of the pitfalls of her ascension to the presidency, and the ruthless politics that brought her there. Earlier in the month, a teaser for the upcoming season confirmed the status of the show’s former lead character, Frank Underwood, who was booted from House of Cards late last year after actor Kevin Spacey was implicated in an off-screen controversy. The brief teaser featured Robin Wright as the newly appointed U.S. President, addressing her off-screen (and apparently deceased) husband. Netflix accompanied the premiere date announcement for season 6 with a new poster that pays homage to the first promotional image for the series. 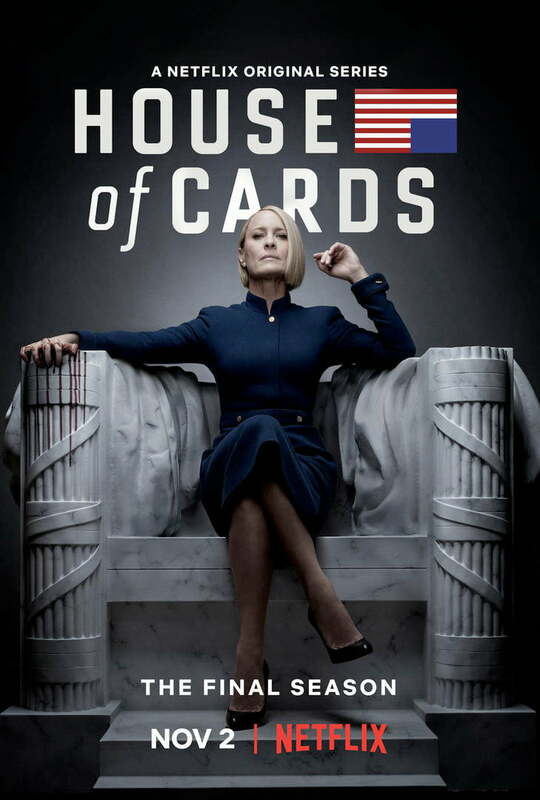 The poster depicts U.S. President Claire Underwood seated against the same backdrop as her husband was in the original House of Cards promotional images. However, her iron grip on the presidency leaves a trail of blood dripping from her right hand. The first teaser for season 6 of House of Cards (see below) was released in March 2018 and takes the audience on a journey through a busy White House before finally arriving in the Oval Office. “We’re just getting started,” says Wright as she rises from her seat to address the camera. 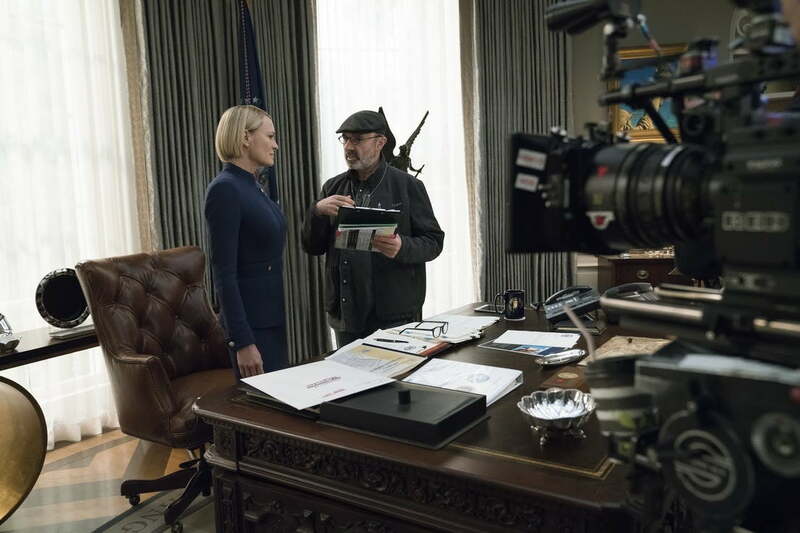 The first photos from House of Cards season 6 were released in June, and feature Wright as the new president of the U.S., having assumed the role after the resignation of her husband in the previous season. Netflix added two high-profile cast members to House of Cards season 6 as the award-winning series dealt with the fallout of the scandal involving former star Spacey and the show’s impending conclusion. Academy Award nominees Diane Lane and Greg Kinnear will join House of Cards for the show’s final season, according to Netflix. The identity of their characters is unknown at this point, but their arrival was a major move for the popular political drama as it limps into its final story arc plagued by headline-generating, behind-the-camera issues. Lane and Kinnear join a season 6 cast that currently includes Golden Globe winner and Emmy Award nominee Wright, as well as Michael Kelly, Jayne Atkinson, Patricia Clarkson, Constance Zimmer, Derek Cecil, Campbell Scott, and Boris McGiver. The announcement of the new cast members accompanied the start of production on the season, which kicked off January 31. Created by Beau Willimon and adapted from the BBC miniseries of the same name, House of Cards is one of the most successful streaming television series to date, and the first original streaming series to receive Primetime Emmy Award nominations in major categories. To date, the series has won seven Primetime Emmy Awards and been nominated an additional 46 times, while also winning two Golden Globe Awards and earning eight additional nominations. Lane was nominated for an Academy Award for her performance in 2002’s Unfaithful and is also a two-time Emmy nominee for her performances in Cinema Verite and Lonesome Dove. Kinnear earned an Academy Award nomination for his role in 1997’s As Good As It Gets, and much like Lane, he also earned a pair of Emmy nominations, with his performances in Modern Family and the miniseries The Kennedys receiving nods. Updated on October 9, 2018: Added a new trailer for the season.